The Ink Trap: Coffee BFFs by Art Impressions! Welcome back! 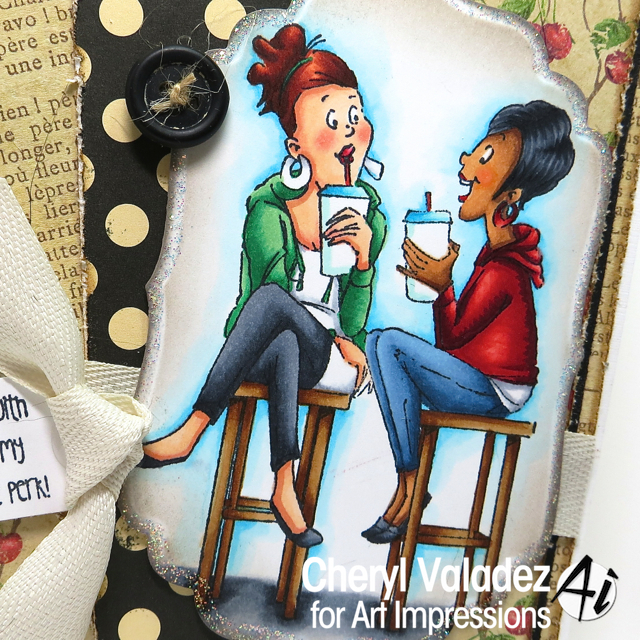 Today I'm sharing a card featuring the Coffee BFFs Set (4407). These two gabby gals remind me of me and my amigas. A simple coffee date can easily turn into hours of laughing and great conversation! Finds Coffee BFFs in the Ai Shop along with LOTS of fabulous images!